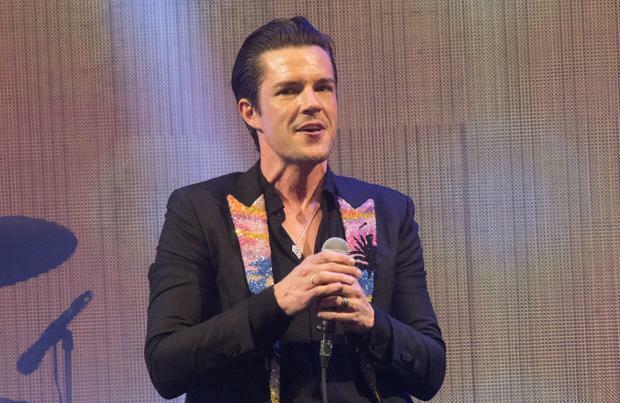 The Killers, Rag 'n' Bone Man and Little Mix have joined the likes of The Beatles and Queen by becoming "digital millionaires". The Official Charts Company has redefined the million sales landmark by introducing streaming numbers for the first time, and the trio are among a selection of artists who are now part of the UK's exclusive 'Million Sellers Club' as a result of the changes. Their music will be featured on a new album, 'NOW That's What I Call a Million', which will be released on October 13. Hitting a million sales is a rare milestone; only 169 tracks from some of the greatest musical artists of all time including The Beatles, Sir Elton John and Queen have achieved this marker in terms of pure sales in the 65-year history of the Official Chart. According to Official Charts Company data, in the last year alone 98 million singles have been sold in the UK and music fans have generated an extraordinary 44 billion streams. Martin Talbot, Chief Executive, Official Charts Company commented: "For six decades, hitting the million mark has been the landmark achievement for all of the world's greatest artists - reflecting sales of the biggest hits of each respective era. Today, in an era redefined by streaming, it makes sense to redefine this list and create a new set of 'millionaires', spanning the old world and the new. "We are delighted that Now Music is reflecting this new way of looking at the world through our 'Now That's What I Call A Million' collaboration, featuring many of the greatest tunes of the 21st Century. There is genuinely something for every lover of modern pop music on this fantastic collection."